Our London Broil steak is a special cut carved from our USDA Choice Top Sirloin and wet-aged for 21-30 days for bold flavor and tenderness. 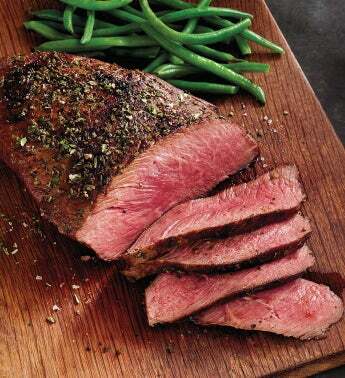 It is best grilled or broiled on high heat until medium rare and then thinly sliced across the grain. It may also be marinated overnight for added flavor.